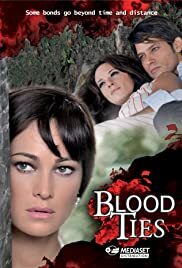 Anna is held captive by Gianni and Riccardo, but manages to telephone Loretta phone by telling her to run away with her children and keep them safe from him. Fountain, coming home, finds the lover, and, taken from the anger, shoots four hits back to Anna, killing her. Loretta and Ciacià discovering Anna was assassinated decided to run away in Switzerland to ensure a future for children. Years go by, Anea becomes strong and robust, so much to defend Cia Cià from the mafiosi who want the lace. Sergio is an expert in stealing and decides to look for her sister.